Q: Excalibur III The Origins: here is a title that sounds enigmatic but could you tell us more about the content? Alan Simon: That last album of the trilogy “Excalibur” takes us in an incredible ancestral trek. The big journey of the origins of the Celtic world! I tell the story of two clans which simultaneously will cover thousands kilometers to discover their land of Avalon, that birthplace, that Europe were we live in today. That land where they will finally live, magnify and give birth to a surprising civilization! … A people that, two thousand years later, will be feared by the army of Julius Caesar himself. That saga begins then at the end of Neolithic, then faces the roman invasion and finishes with the final exodus of the Celts to the 5th century Ireland. The Celts of the time had found refuge in what we consider today the lands of the Interceltic, little Brittany, Cornwall, the Isle of Man, Scotland, Wales and finally Ireland which since the 5th century has been the very last active bastion of the Celtic world. (Today thanks to various cultural events, Galicia, Asturias and Cantabria have joined the closed circle of the Celtic lands). “Excalibur III The Origins” tells us the fantastic epopee of the first pilgrims of the Celtic world. The music recalls their long transhumance, their fears, their dreams and their hopes, their disillusions and beliefs, their fights and their discoveries! Q: Is there a continuity of style compared with the previous albums? Q: How is this album musically structured? Alan Simon together with Les Holroyd and Pat O’May for the Excalibur Celtic Show. Q: Which will be the performers and what are the motives of your choices? A.S.: I always work the same way. I find the right people those with which there’s a good feeling, a story! Musicians for which I have respect. For me a good album must always begin that way. Whether it is the team of Jethro Tull, the Fairport Convention, John Helliwell from Supertramp (which has done an incredible job, covering 1500 kilometers although he is 65 years old to record his contribution to Excalibur), or the excellent singer John Wetton ex-King Crimson now Asia or the friend Les Holroyd from Barclay James Harvest always so fraternal defending his song with an inimitable tone of voice. Yes, sincerely, I’ve blown my mind. I think we can feel it in this album. I must not forget the fabulous contribution of American orchestrator Lee Holdridge who has magnified my scores or the talented English guitarist James Wood who adapts most of my texts. Bearing in mind the unforgettable sessions in Los Angeles with drummer Mick Fleetwood and the guitarist Jeremy Spencer, backbones of the original Fleetwood Mac version “blues”… I simply believe that it is the best team I could find to defend with me that last album. And there is a particular guest too, a musician that I admire a lot for his playing. A man who we have called for a moment the fifth Beatles and that we have forgotten too fast, particularly in Europe; I’m talking about the organist Billy Preston. I had recorded 7 pieces with Billy in 2003. I hadn’t achieved the song “Before Tomorrow” which is perfect for Excalibur. So it will probably be the first single of Excalibur. Q: Why have you chosen Italy to work at this album? Q: What do represent for you those 10 years of incursion in the Celtic history and imaginary? Q: What will be your projects for this album? When will it be released and will it join the track list of the Excalibur Celtic Show which after its success in Germany at the beginning of the year will go again on the European roads in January 2011? Q: What will be your actuality after Excalibur? Well OK … yes, there’s another project in process since two years but it’s much too early to talk about it … Step by step … For the moment I’m going to eat a gigantic whole meal crepe … And a good raw cider … “Yehet mat”, Cheers my friends! Alan will be with some artist from the Excalibur Celtic Show at the Cropredy Festival of the Fairport Convention August 14th 2010! Tourwill begin January 2011 in Germany and will continue during the Spring all over Europe. I would love to share with you this nice review previously posted on our partner blog “Love of the Goddess“. All rights reserved by the author. Jean Markale (May 23 1928, Paris – November 23 2008) was the pen name of Jean Bertrand, a French writer, poet, radio show host, lecturer, and Paris high school French teacher, who had a keen interest on Celtic Culture and published several books and articles regarding this subject. He lived in Brittany, France. I was so excited when I found the book by Jean Markale, The Great Goddess! It looked like the kind of book I had been searching for. 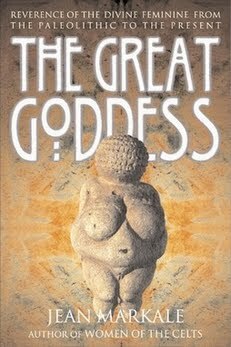 This book deals with Goddess worship from the Paleolithic to the present. It’s filled with so much information on Goddess history, that I recommend taking notes if you really want the info to stick. Now I must say that I did enjoy reading this book, although it can be a little dry in some areas, so it’s a book you’ll read over time. It’s mainly academic with a little mythology. Worship of a Mother Goddess dates back thousands of years. Figurines of women have been found with exaggerated breasts and hips that are believed to symbolize fertility. Jean Markale discusses each and every one of these ancient figurines. Everything from the famous Venus of Wilendorf to the Sheela Na Gigs of Great Britain. There is even a reference in the back of the book that names all Goddess centered figurines, sanctuaries and statues. The beginning of this book gives you a history on the ancient practice of Goddess worship, starting with the Paleolithic peoples. It goes on from there to talk about Christianity, and the change of the world religion from a Mother Goddess nature centered spirituality, to a patriarchal spirituality. The last few chapters of this book talks about different Goddess/Pagan religions around the world, like the Celts, Egyptians, Hindu and so on. I have to say, that the middle portion of this book goes a little too deep into detail about when Christianity came about. Although it’s a relevant time period in our history, I was looking more for just info on Goddess history. The Great Goddess is filled with historical fact and is very academic, which I happen to like. 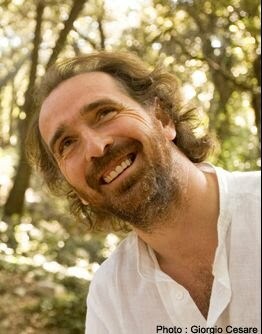 There are no rituals or meditations to try or anything like that. Strictly historical fact on ancient Goddess worship. Which I think is very important for modern Goddess followers to know. But if your looking for an easy, fun, activity filled read, this isnt it. Take your time with this one and soak it all in! Theres tons of Goddess history out there waiting to come to the surface, and I think Jean Markale did a superb job conveying that ancient message to us. Although this is a manuscript written 12 centuries ago and revered as a wonder of the Western world practically ever since little is known of the Book of Kells and the Gospels, written in Latin and lavishly illustrated. However, the book may be about to cede some of its many secrets. Experts at Trinity College, Dublin, home of the Book of Kells from 346 years ago, authorized to carry out an analysis with laser two-year Treasury, a major tourist attraction in Ireland, with over 550,000 visitors año.Conocida as Raman spectroscopy to the innovative laser technology and study the chemical composition of the book, its pigments, inks, and its thin pages of vellum, or calfskin. While awaiting the results of the analysis, experts assume that expensive materials used for some of the blue pigments came from the stone lapis lazuli, mined in northeast Afghanistan. It is believed that the yellow pigments were produced with arsenic sulfide and red pigments, known as kermes, resulting from the dried bodies of pregnant and a family of Mediterranean insect, data suggesting the existence of extraordinary trade routes for the ninth century. “Essentially the laser bounces and get a spectrum,” said Robin Adams, Librarian of Trinity College, hopes that the detailed analysis of the laser point to point and help reveal secrets of the book conservation. The book was created around the year 800, in honor of the achievements two centuries before by St. Columba, also known as Colm Cille. 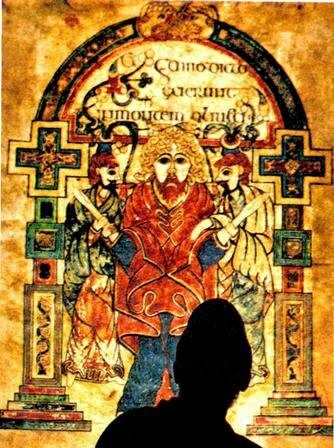 It was an Irish nobleman who in Ireland and Scotland founded one of the first monastic traditions in the world devoted to scholarship and Christian worship. Irish legend relates that Columba, after losing a bitter legal battle over its right to produce copies of books, was exiled to canvas Scottish island where it is believed he wrote the Book of Kells. However, in the year there were 806 incursions Netherlands or Scandinavian Vikings in the island, and Irish monks hid the book for their protection. He ended up arriving at Kells, a monastery located in the Irish county of Meath, just outside Dublin. He survived new waves of raids, including one by bandits who, according to chronicles of the time, seized the book in 1007. It was recovered two months later by monks under a layer of earth and stripped of its covering of gold. The book remained at Kells until the wars waged by Oliver Cromwell, in the seventeenth century. It is said that Henry Jones, senior Protestant clergyman who had served as quartermaster general of the invading army, “donated” the book to Trinity College sometime after 1661. It is likely to continue the mystery about the fact that the book was written on canvas, Kells monastery or other place in which St. Columba resided. Perhaps only a DNA test of the vellum would reveal the age and provenance of the leather used and the manufacturing Luga r book. Adams asked whether such an analysis could elucidate the secret.